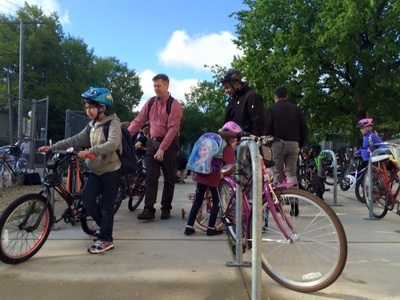 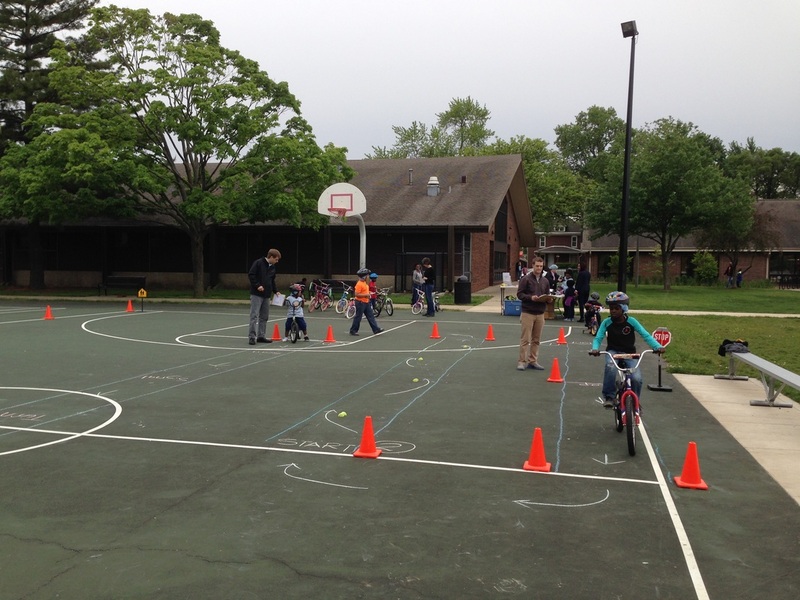 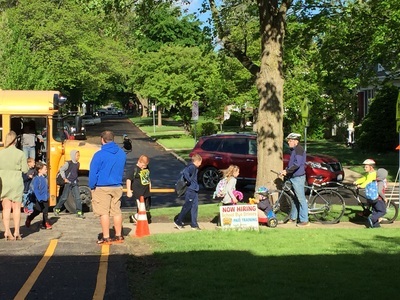 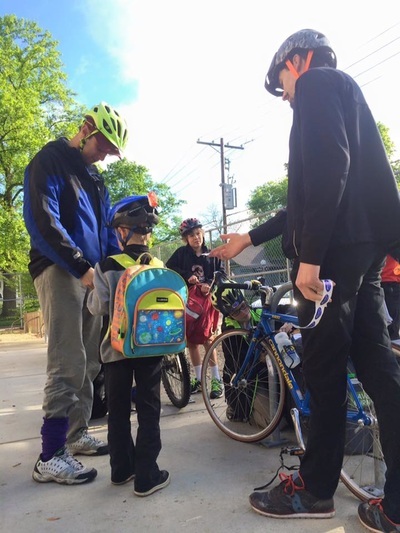 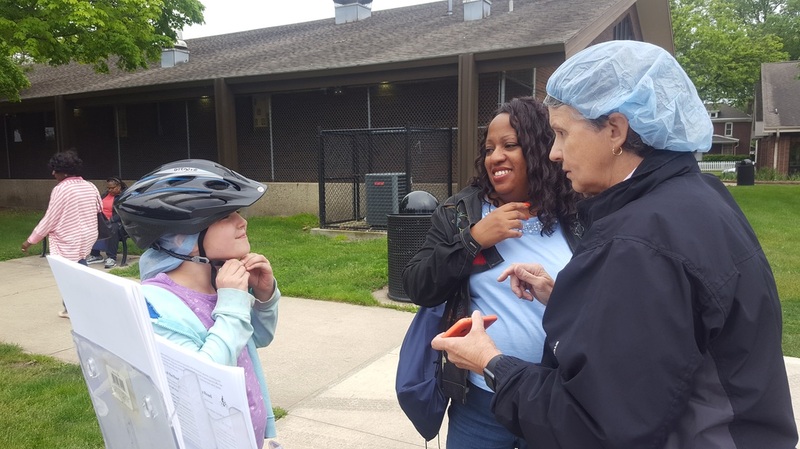 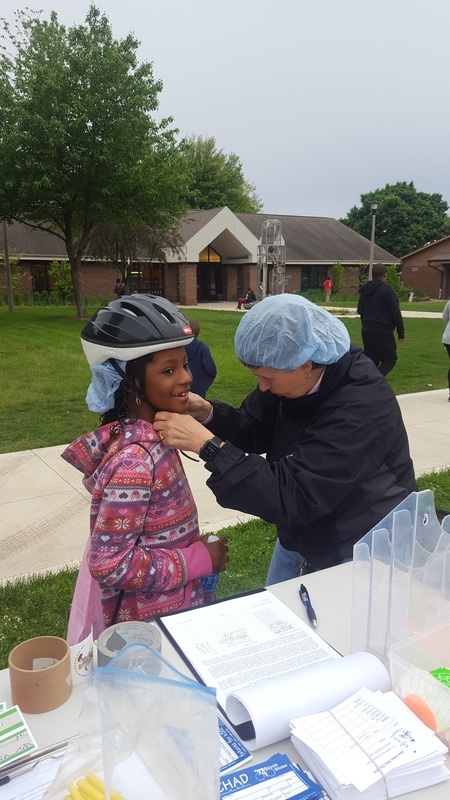 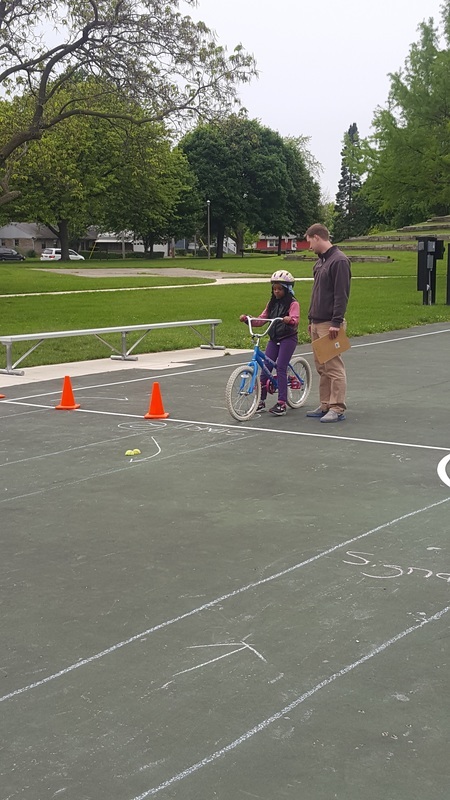 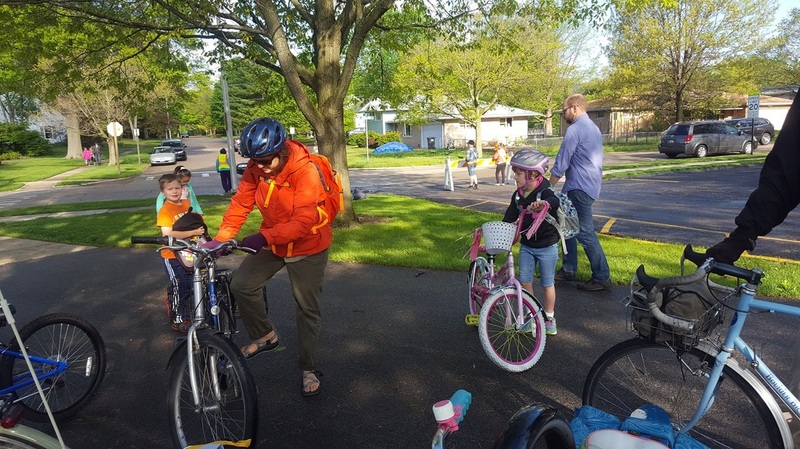 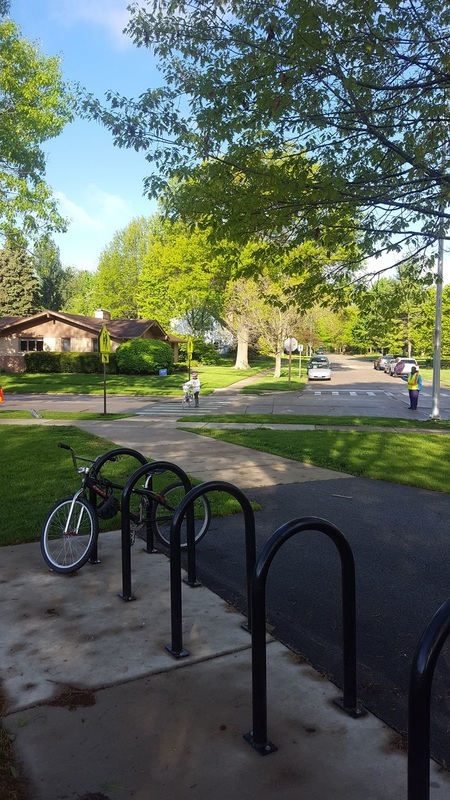 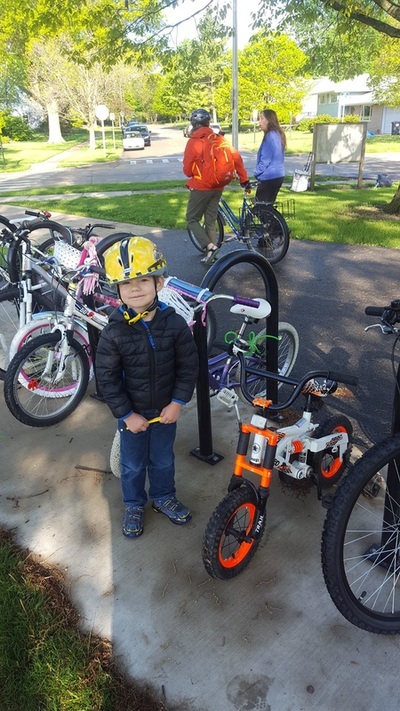 This year's Bike to School Day had a great turnout -- we had 97 registered students from 18 different schools, and more who bicycled to school without registering! 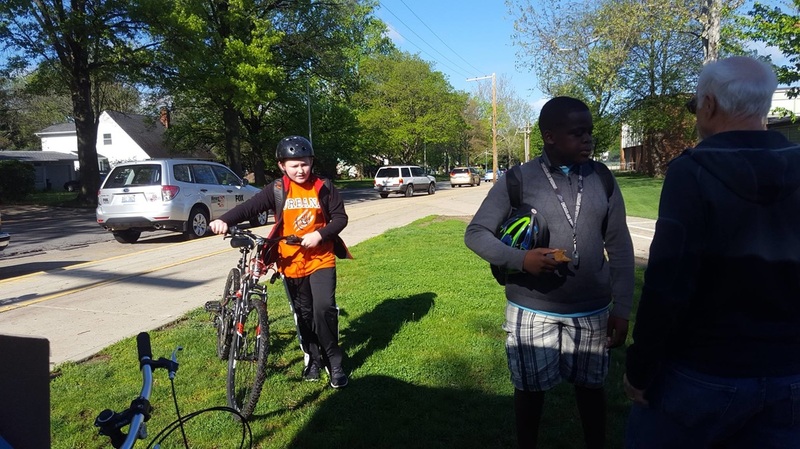 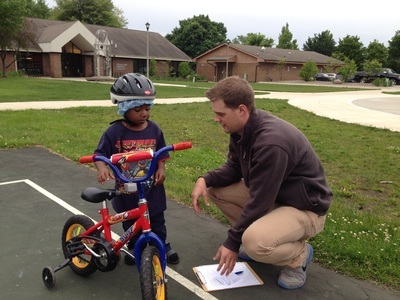 At many of the schools we had volunteers handing out bicycle reflectors, t-shirts, and other fun prizes. 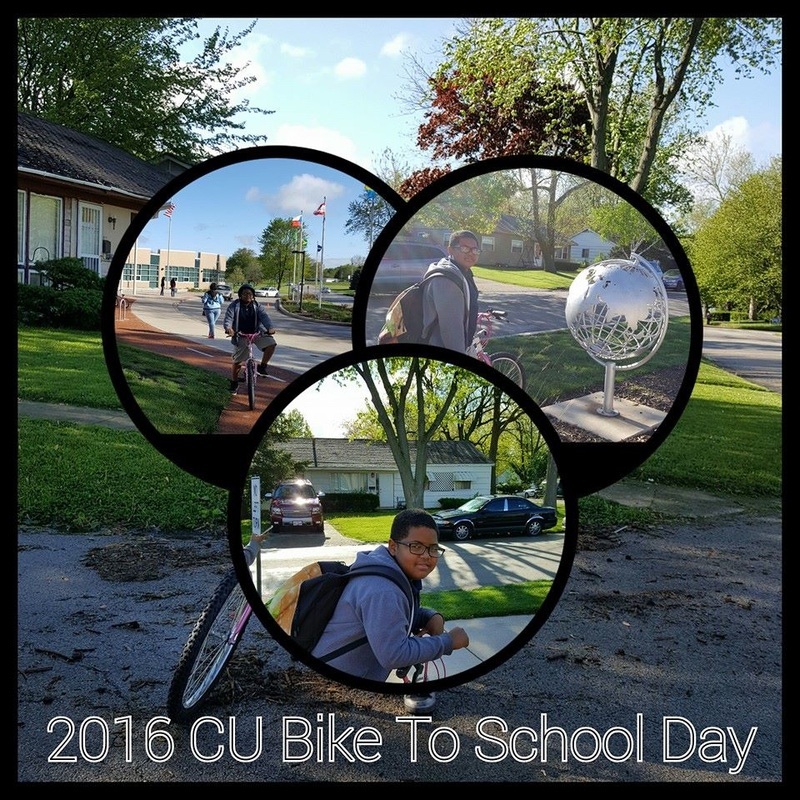 Bike to School Day (BTSD) is a part of National Bike Month and builds on the popularity of Walk to School Day, which is in October. Both events have been hugely successful in Champaign-Urbana. 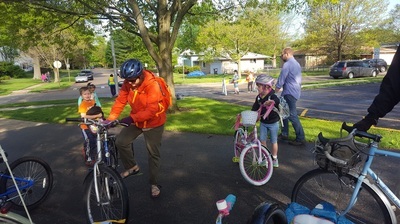 encourage drivers to watch for child cyclists and share the road appropriately. 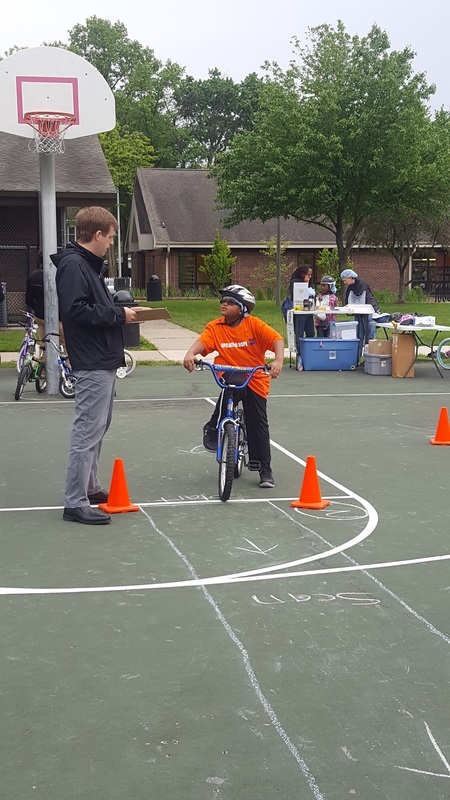 May 16, 2016 -- About 50 kids of all ages showed up to Douglass Park for the Spring Fling event. They came out and enjoyed the weather while learning valuable skills such as signaling, turning, and yielding. 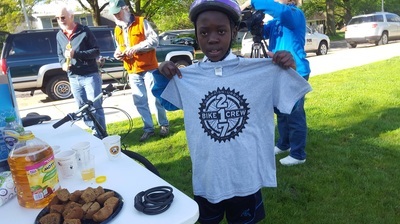 The event was a success! Go check out more pictures of the rodeo on our Facebook page!